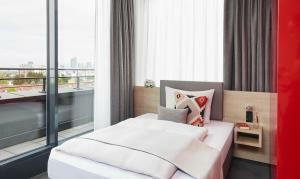 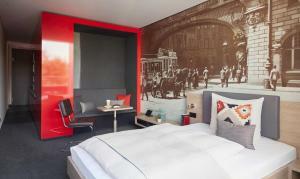 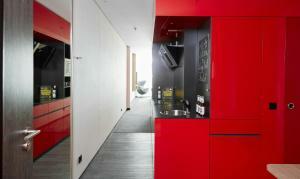 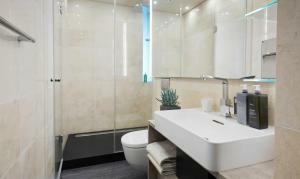 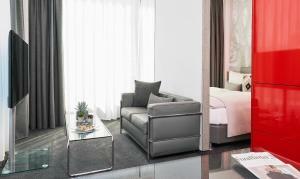 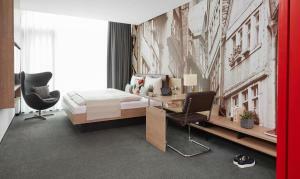 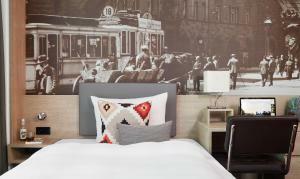 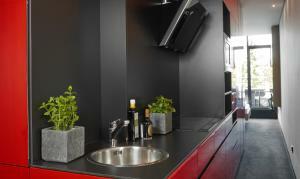 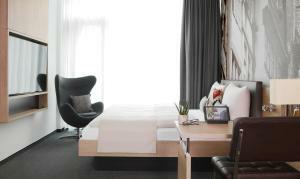 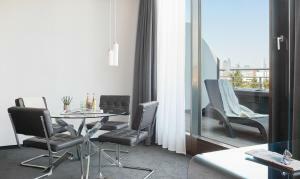 The Living Hotel Frankfurt by Derag offers inviting accommodation in Frankfurt am Main, in the Sachsenhausen district. 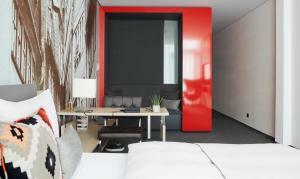 The hotel features a 24-hour reception and an original design concept with no lobby. 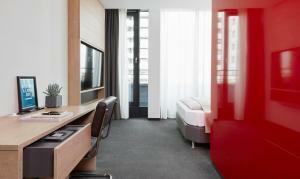 Free WiFi is included and private parking in an underground parking garage is available for a surcharge. 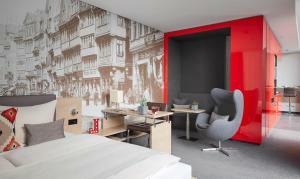 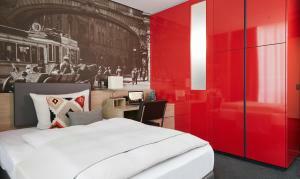 The Living Hotel Frankfurt by Derag is 2 km from St Bartholomew's Cathedral and the historic Römer square. 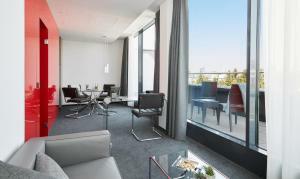 It is 3.5 km from the Frankfurt Trade Fair and 9 km from Frankfurt Airport. 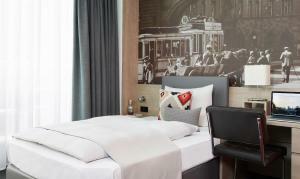 This business single room features a double bed (140 cm), a balcony or roof terrace, air conditioning, WiFi, free landline calls in Europe, minibar, coffee and tea facilities, a flat-screen TV and a bathroom with rain shower. 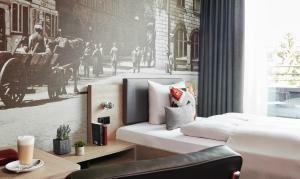 This business double room features a double bed, a seating and sleeping area, a balcony or roof terrace, air conditioning, WiFi, a free landline calls in Europe, minibar, coffee and tea facilities, a flat-screen TV and a bathroom with rain shower and hairdryer.